By Stephen Pappas. Nov 16, 2015. 9:00 AM. José Saramago was born to landless peasants in Azinhaga, Portugal in 1922. He grew up and spent his formative years under the Estado Novo (New State) regime. Estado Novo was a fascist, corporatist, and conservative government. The exploitation or Portuguese peasants by the ruling class lead Saramago to become a staunch communist and an atheist. In what may be a rather large understatement, the politics of Saramago's time greatly influenced his life and work. Saramago didn’t achieve literary fame until he was in his 60s. His parents couldn’t afford grammar school so instead he went to technical school and became a car mechanic. He quickly changed jobs and began working with Portugal’s social welfare service. In 1968, Saramago joined the Partido Comunista Português, or the Portuguese Communist Party. When the Estado Novo regime seized power, it outlawed the Portuguese Communist Party in an effort to suppress any sort of rebellion against the state. Many of its leaders were arrested and tortured. Some were sent to Tarrafal Camp, also known as Campo da Morte Lenta (Camp of the Slow Death). Thankfully, Saramago avoided arrest. In 1974, what started as a military coup quickly became a populist overthrow of the government. The Revolução dos Cravos overthrew the repressive dictatorship of Estado Novo and the empowerment of a democratic and socialist regime followed. Saramago had been working as an editor at the newspaper Diário de Notícias, but after the populist movement turned away from a communist revolution, he quickly lost his job. During this time Saramago worked as a translator to support himself. It wasn’t until his fourth novel, Baltasar and Blimunda, that he received widespread recognition and was able to support himself as a writer. In 1991, he published the novel The Gospel According to Jesus Christ, a polarizing book to say the least. 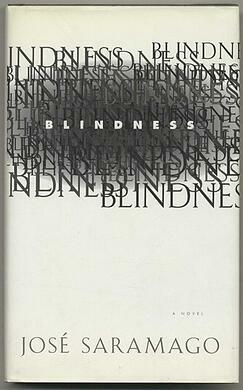 In it, Saramago writes Jesus as a flawed man who has a contentious relationship with God. God himself is a selfish and uncaring deity whose plan is to sacrifice Jesus to gain popularity. The then conservative Portuguese government censored it and did not allow it to compete for the Aristeion Prize. In protest, Saramago exiled himself to the Canary Islands. 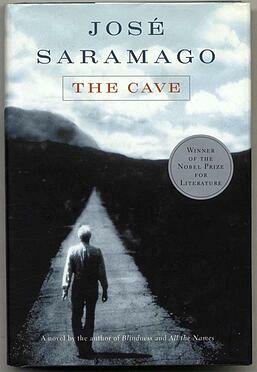 Later works from Saramago include The Cave (La Caverna), published in the U.S. in 2002, and The Double, published in the U.S. in 2004, which inspired the major motion picture, Enemy. No doubt living through multiple revolutions endowed Saramago with a keen sense of cynicism. He never fully forgot the lost promise of the communist turned socialist revolution in 1974. Saramago’s politics are important because they informed and influenced his characters. At his Nobel Lecture he said, “The wisest man I ever knew in my whole life could not read or write.” He was speaking of his grandfather. His grandparents, simple and honest peasants, suffered at the hands of authoritarian governments and military coups. A constant theme in all his works is the exploration of the human condition in fantastic scenarios. His grandparents helped form the character template that allowed him to transform, “the ordinary people they were into literary characters.” He recalled his grandmother saying, "The world is so beautiful and it is such a pity that I have to die." Saramago argued at the lecture that she wasn’t afraid of dying, but “it was a pity to die, as if her hard life of unrelenting work was, in that almost final moment, receiving the grace of a supreme and last farewell, the consolation of beauty revealed.” Saramago bid his last farewell on June 20, 2010.